Tax obligations and filing requirements for United States Citizens and Green Card holders living and working in Argentina are basically the same as they would be if you lived and worked anywhere else in the world: If you earn more than the minimum income threshold established by the IRS or you have over a certain amount in foreign assets or financial account-derived income, you are required to file a US expat tax return every year with the IRS and report all foreign financial accounts to the United States Department of Treasury. · Foreign Earned Income Exclusion – The Foreign Earned Income Exclusion (FEIE) allows qualifying US expats to deduct up to $92,900 of all foreign earned income from their final taxable income on Form 1040. For expats who made less than $92,900, this exclusion completely wipes away any US tax liability, unless the income was earned from self-employment. · Foreign Tax Credit – The Foreign Tax Credit can be used to either deduct a dollar-for-dollar amount equal to the total balance you paid in foreign taxes from your taxable income or apply a credit to your US taxes in the amount of your foreign tax bill. This credit can only be applied for taxes on income which was not claimed in the FEIE. · Foreign Housing Exclusion – The Foreign Housing Exclusion allows US expats to claim exclusion on all qualifying housing expenses incurred while moving and living overseas. These qualifying expenses include rent, some utilities, reasonable cost of furnishing, and a variety of other expenses. Adequate planning and mindful preparation of your US expat taxes can help you significantly minimize or completely eradicate any US tax liability. It’s important to understand, however, that you must file a US expat tax return – even if you don’t actually owe any taxes. The aforementioned credits and exclusions are only available to expats who file a return, and failing to file can result in stiff penalties in the future. Does the United States Have a Tax Treaty with Argentina? No; Argentina is not a country holding an active tax treaty with the United States. As a US expat living abroad, however, you still will be able to claim the aforementioned credits and deductions to minimize your international tax liability. At first glance, the chart above may seem a bit confusing. Imagine your total income in Argentina was $100K. Assume that after available deductions offered by the Argentine tax authority your taxable income would be $60K. At this level, your fixed tax liability would be $4,200 and you would deduct $30K from $60K and then multiply the product ($30K) by the applicable variable tax rate (.23) for a total of $6,900. Your total tax liability would be $11,100, all of which may be excludable from your US expat taxes. In addition to income earned as salaries paid, other types of taxable income which are included in the above table are dividends, interest, royalties, and rental income. Income which is not included in the above table and is not subject to taxation is Argentina is capital gains income. Capital gains income includes income earned from the sale or transfer of assets including investments, property, personal vehicle, and other sales. 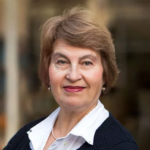 Who Must File an Argentine Tax Return? Although every resident earning a minimum income in Argentina is required to pay taxes, not every resident is required to file a tax return. If your income is limited to the salary you receive as an employee, your employer will deduct your taxes regularly and remit payment to the Argentine tax authority. If you have any additional income such as royalties, self-employment income, or any other type of taxable income not earned from your employer, you will be required to file an Argentine tax return. The tax year in Argentina is the same as the United States: January 1 to December 31. Luckily for expats living in Argentina, the filing deadline is also the same as in the United States: April 15. Unlike the United States, however, Argentina does not allow for any filing extensions. Filing a late tax return in Argentina will result in an automatic $200 fine and interest will be assessed on the balance due. 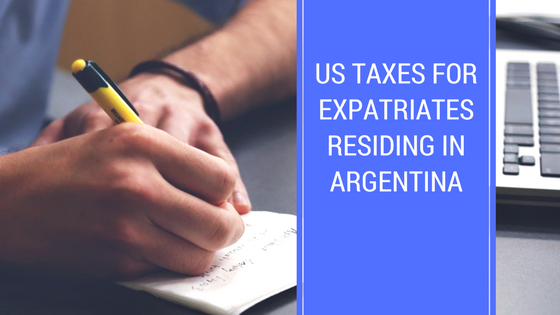 If you are a US expat on a temporary assignment in Argentina expected to last less than 2 years, you will not be affected by the Social Security tax in Argentina. If you spend more than 2 years in Argentina, however, you will most likely be required to make contributions to both the Argentina and the United States Social Security. The Social Security tax rate in Argentina is 17% of your salary and/or wages. Additionally, employers are required to pay up to 25% (23% for smaller companies) of your wages with a monthly cap of 10,119 pesos (this cap may be adjusted twice a year). Is Foreign Income Taxed Within Argentina? If you are considered a resident of Argentina, your worldwide income is subject to taxation. If you are temporarily living and working in Argentina as a non-resident, only your Argentina-sourced income will be taxed. Remember that all foreign income is deductible from your US expat taxes if you qualify for the FEIE. If you don’t qualify for the FEIE, you may still be able to claim the Foreign Tax Credit to avoid double taxation. Who is Considered an Argentine Resident? Any person who has lived in Argentina for a period of 12 months or longer or who has otherwise acquired legal permanent residency is considered a resident of Argentina. Residency status is permanent until it is terminated either by establishing official residency in another country or by being absent from Argentina for an entire year. Termination of Argentinean residency requires the filing of a final Argentina tax return. If you are self-employed in Argentina you will be required to estimate your taxes monthly based on your income and make regular monthly estimated tax payments. If you own a company for which the primary address and documentation is in Argentina, your company will be liable for taxes on worldwide income. If you are the owner of a company for which the primary address is in another country, you will only be assessed taxes on income generated in Argentina. If you are a corporation (or any other variation of incorporation) operating inside Argentina, your company’s income will be subject to a flat tax rate of 35%. If your company engages in the export of goods, it will be taxed on the assumed rate of profit for exported goods. All imports and exports are subject to the Argentine IVA (equivalent to VAT-Value Added Tax) of around 21% of the value of each transaction, which must be paid to the government of Argentina. All self-employed income will be eligible for the FEIE on your US expat tax return if other conditions apply, but you will still be required to pay the minimum S E tax (Self Employment Tax) mandated by the IRS if your SE income exceeded $400. The assessment of IVA is not limited to commercial imports and exports; imports of personal property are also subject to this tax. Additionally, maintenance or construction on real property, the acquisition of property, and leases pertaining to real estate are subject to the IVA. If you are a tourist who was charged an IVA while in the country, you may be able to receive a refund if the taxes were assessed on a qualifying purchase. If you are a foreign national with more than 20,460 pesos worth of assets, you will be charged a 1.25% tax rate on your assets. This rate for Argentina residents can range from 0.5% to 1.5%. If you have spent less than 5 years in Argentina, only your Argentina-based assets will be considered; after 5 years, you will be taxed on your worldwide assets. Argentina has an equivalent sales tax system to the United States, generally charged at around 0.6%. Debit and credit card transactions may be subject to an additional tax of an equal amount. If you need help determining the best filing method for your US taxes, don’t hesitate to contact a US expat tax professional at Taxes for Expats. This is a good read and a great resource for expats that are residing in Argentina when it comes to filing taxes as a US citizen. Do foreign expatriates do a tax return yearly?